Pair up an A and C square to make (8) 2.5" unfinished HSTs using the 8 at a time method. 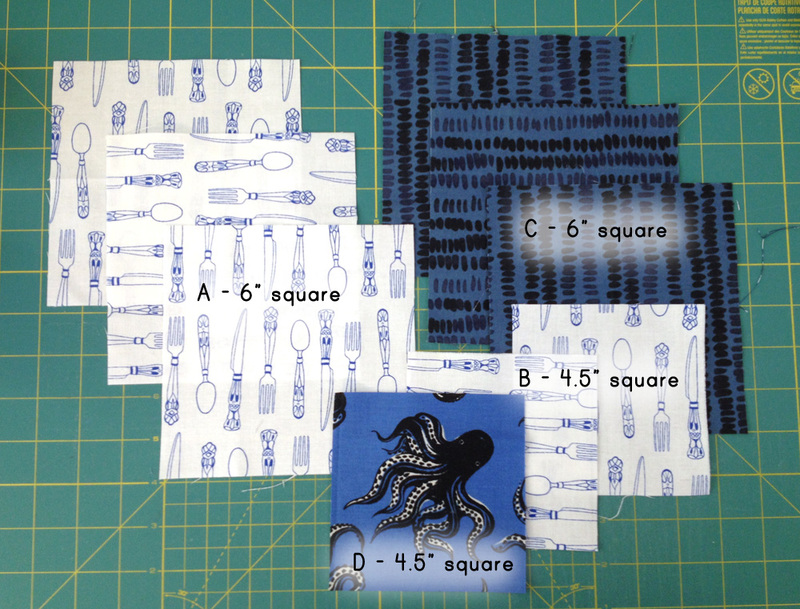 Repeat with the remaining A and C squares for a total of (24) HSTs. 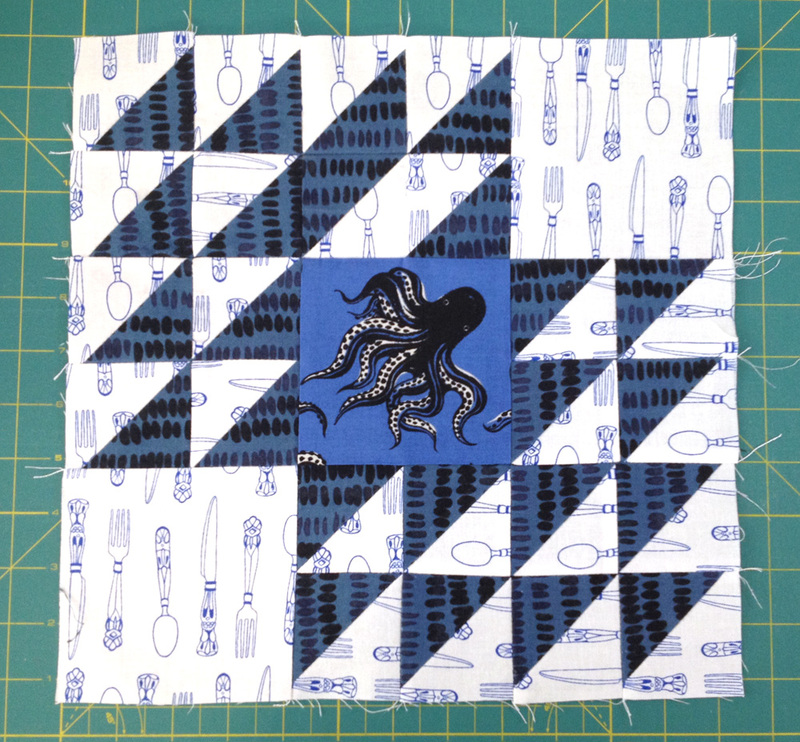 What we're supposed to do is lay the HSTs and remaining squares out as illustrated, sew them into rows, and sew those rows together. Instead, bust out the champagne because we're celebrating New Year's early. Your drunk self will take care of the rest. 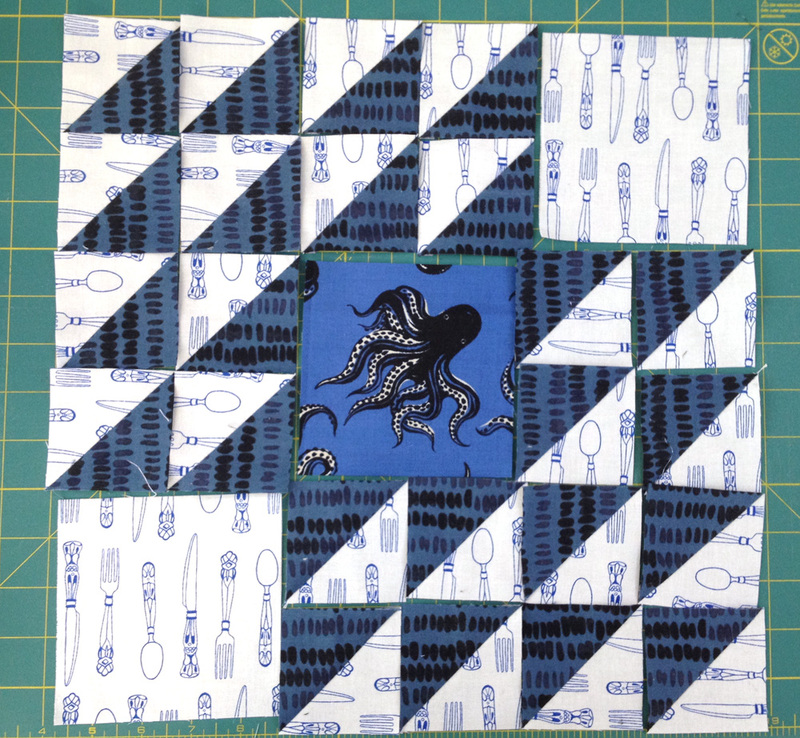 As usual, finished block measures 12.5" square.